Peter Waanders established Bellbird Birding Tours in 2013. It is the successor to Southern Birding Services, which Peter established in 2005. Southern Birding Services will continue to exist for the time being, offering bird guiding in South Australia, while Bellbird Birding Tours offers a range of top quality, small group birding tours throughout Australia and beyond, led by passionate, experienced and professional local guides. Browse our website to see what’s on offer! Peter has been conducting professional bird guiding trips since 2002 and has pioneered many off-the-beaten track birding destinations. To cope with the increasing demand, Helga Kieskamp and Steve Potter also guide for us in South Australia. Other guides we use around Australia include Tonia Cochran (Tasmania), Peter Taylor (Western Australia), Mark Carter (Alice Springs) and Laurie Ross (Darwin). All our guides are fully qualified birding guides with current Senior First Aid certificates and Advanced 4WD vehicle training. Your safety is important and on all our trips a satellite phone, GPS and up-to-date first aid gear is carried. Scroll down to meet our guides! Peter has been an avid birdwatcher since age 10. Born and raised in the Netherlands, Peter obtained a B Sc degree in Environmental Management and has worked in National Park management planning in the Czech Republic, ecological research in the Netherlands and Australia, and natural resource management planning and environmental project management in Australia. Peter has travelled extensively to over 40 countries in Europe, North and South America, Asia and the Pacific in pursuit of his main interests: birdwatching and nature photography. His life list of bird species currently totals almost 4,000 and his collection of digital images exceeds 30,000. In 1996 Peter moved permanently to Australia and was employed by a semi-government catchment management authority to manage large environmental projects with a focus on floodplains, wetlands and biodiversity. Peter started conducting professional bird guiding trips in 2002 and is now full-time managing a very successful bird guiding business, Southern Birding Services, showing visitors the rare and hard-to-find species of southern Australia. Helga Kieskamp became a birder upon moving to Australia from the Netherlands in 1997. Helga has a Bachelor Degree in Museum Studies and has studied Eco-tourism and Conservation and Land Management. 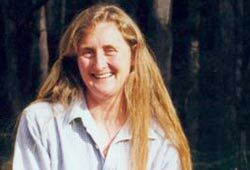 After working for many years at Biological Services in Loxton (SA), producing beneficial insects and mites for horticultural enterprises to aid in pest control she became a freelance environmental contractor undertaking numerous projects including studying the endangered Regent Parrot, conducting bird surveys and running bird monitoring training workshops. She has been working for Berri-Barmera Landcare since 2012. Helga is a keen bird photographer and has co-led many outback bird tours for Bellbird Birding Tours, and has been guiding for us since 2011. Steve Potter was born and raised in South Australia, and always had a passion for the outdoors with a keen interest in wildlife. His first introduction to birding however, was during a three year stint as a teenager, while his parents worked in Malawi, Central Africa. He started guiding with small groups around the Zomba Plateau, and the Liwonde National Park. Here Steve honed his identification skills and understanding of birdlife in general, also travelling to Zimbabwe, Kenya, Swaziland, South Africa and Madagascar. Since his return he has travelled extensively around Australia adding over 620 species from the mainland. He has also been active visiting Australia’s neighbours, birding regularly in South-east Asia. Steve is also a keen surfer, photographer and traveller and has been guiding for Bellbird Birding Tours since 2013. Steve also leads many of our Australia tours as well as our Indonesia and Thailand tours. 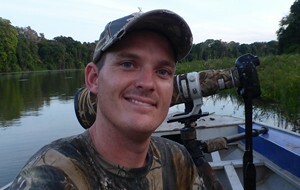 David Kowalick has been an outdoors enthusiast since he was a child. He was mainly interested in observing and propagating native plants and had a general interest in natural history. At age 22 David received a pair of binoculars as a gift and the very first bird he observed through them was a Rainbow Bee-eater, and that was it—he was hooked. Since then David has lived in Darwin, Sydney and now Adelaide and has birded extensively across Australia, Asia and North America. David’s favorite birds are the endemic Grasswrens found across the remote inland areas of Australia.Now based in Adelaide, David enjoys guiding in the many varied habitats of South Australia which include coastal wetlands, eucalypt woodlands, mallee scrub and freshwater wetlands. He also has extensive experience guiding in many other regions across Australia. Tim Dolby is a well-known Australian birdwatcher and former Convener of BirdLife Australia in Victoria. Tim has lectured at a range of major Australian universities, and has authored several bestselling bird books. These include Finding Australian Birds: A Field Guide (CSIRO, 2014) and Where to See Birds in Victoria (Allen & Unwin, 2009). Tim organises the celebrated birdwatching event, the Australian Twitchathon (a Big Day event) and moderates the Australian Birdlines. Tim has birded and guided for many years across Australia and provides a wealth of information for both local and visiting international birdwatchers. 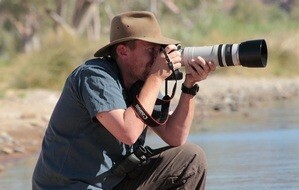 Peter's passion is observing and photographing birds in South-West WA, where he leads our tour. Tonia or one of her Tasmanian colleagues leads our Tasmania tour. Laurie leads birding tours in the Top End and enjoys sharing its unique wildlife with visiting birders. Alice Springs-based birder and zoologist Mark Carter leads our Red Centre Adventure.